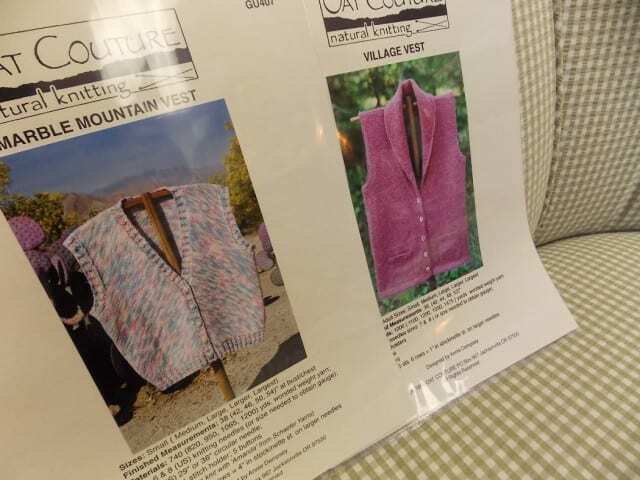 Many of you know by now to look to the teacart for the latest knitting and crochet books and magazines. When a boxful of books comes in, that’s where they go: front and center, so you’ll always see the newest publications as you enter the shop. Single patterns, however, are sorted into project categories and then filed away in binders, near the front window. It’s easy to forget about those humble binders in favor of the books and magazines, but make no mistake–we keep the single patterns updated, too, adding new designs as they surface and replenishing those that sell out. 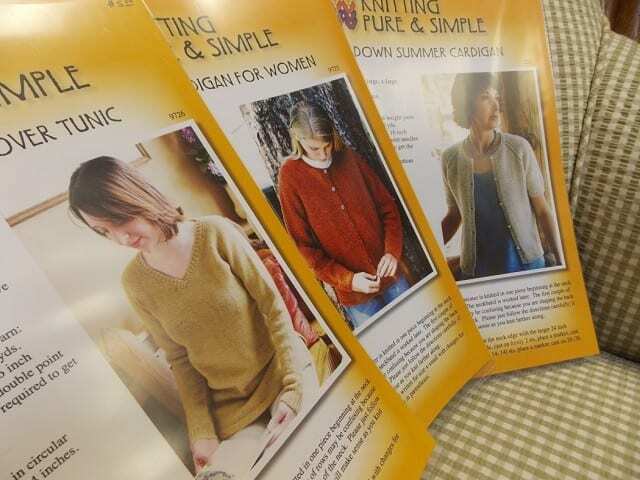 Recently, Anne ordered a pile of patterns from Knitting Pure & Simple and Oat Couture, two sources for single patterns that are straight-forward and simply constructed. 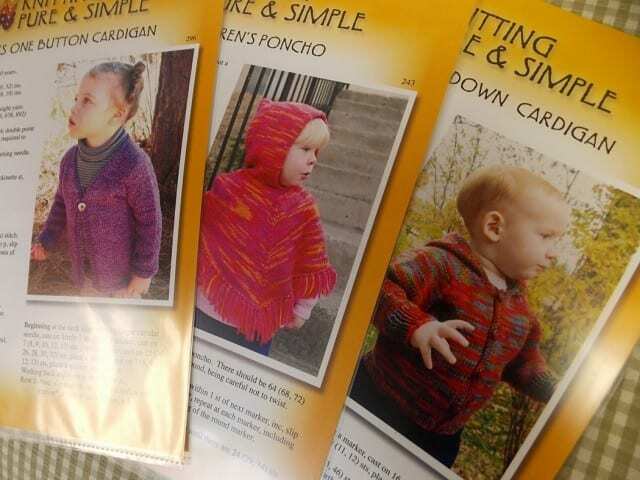 These are approachable patterns, using the most basic stitches to create classic garments for babies, children, and adults. Many of these patterns would make great “first sweaters” for beginners, and offer more experienced knitters a jumping-off point for modifications, or a simple way to show off spectacular yarn. Come by the shop to peruse the pattern binders, for they’re filled with project ideas. See you there!